Located three floors up, room 402 offers our guest a high-rise feel overlooking Columbia Road and its upscale residential buildings. 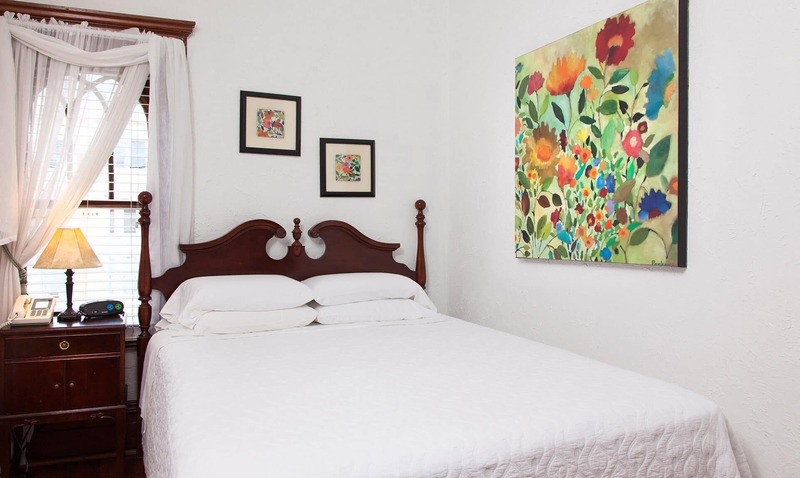 A large queen size bed, with all white soft linen and comforter, provides a restful comfort to the weary traveler. Its south facing view give this room a sunny afternoon feel, which is laid out with décor to match the ambiance of the room. 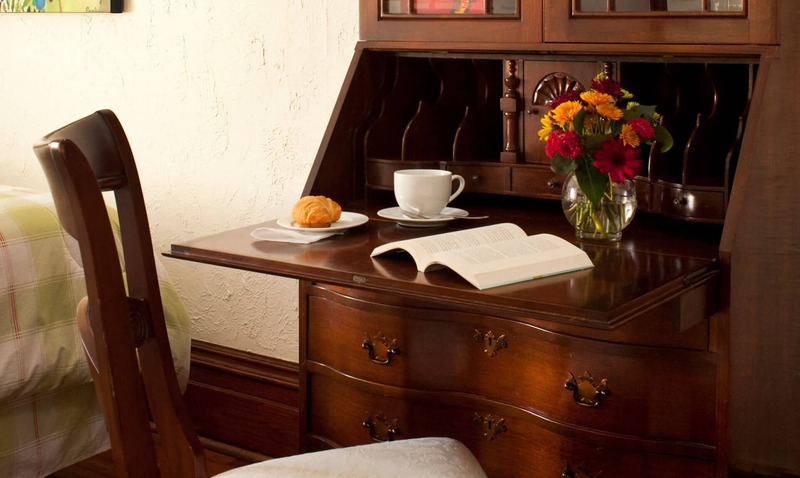 There is an English style secretary’s desk, complete with a selection of used books for your reading pleasure. 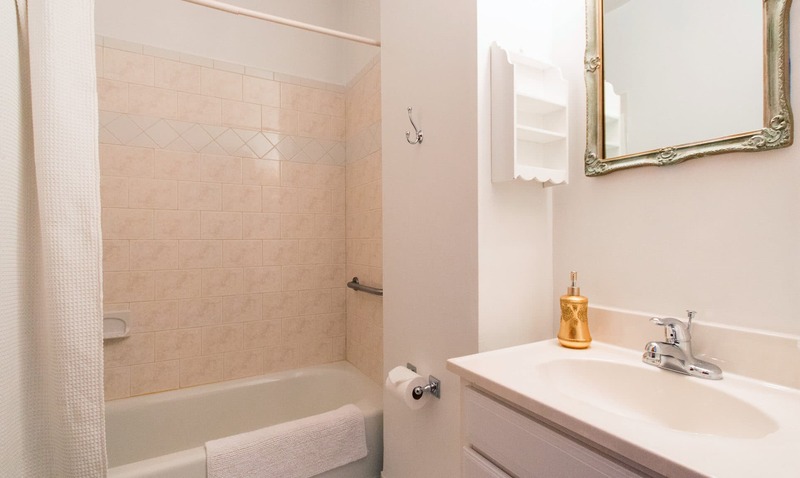 An all white private shower and tub is provided within the suite with standard amenities. No elevator service is available, but our staff is readily prepared to assist you with any luggage during your stay with us.